Ben Robson can't remember a time before he had the box, with its three mischief-making demon occupants: smelly, cantankerous Orf, manically destructive Kartofel and fat, slobbering greedy-guts Djinn. When Ben was a kid it was fun, and he enjoyed their company. Now he's twelve they're nothing but trouble. Then one day Ben has an angelic visitor who tells him that he can be rid of the box forever if he sends it back to hell. There's only one catch - the box has other plans . . . 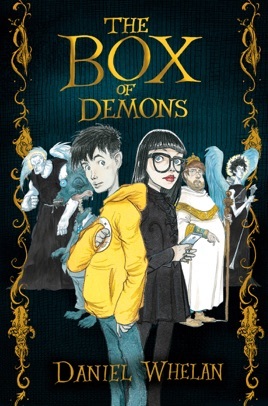 The Box of Demons by Daniel Whelan was the winner of the 2012 Write Now! Prize. It is now available in paperback with a gorgeous illustrated cover by Chris Riddell.